If you are looking for a horse or pony for sale, a horse trailer or even an entire horse farm for sale, here are some tips to get you started. Buying a horse is a big event. There are so many important things to consider that an impulsive buy is out of the question. Any would-be equine owner must think about things like finding an appropriate boarding stable and purchasing all the correct equipment you may need. You should seek out other horse owners and speak to them. As a start, the Internet offers a wealth of information. Your best bet is to start a search for "How to buy a horse". This will bring up many dedicated sites with in-depth guides, tips and FAQs on the process of buying your own horse. 1. Be responsible for your purchase. Investigate what you are buying and who you are buying from. It's better to buy from people who are in the business and have lots of horses to choose from. If you aren't an experience buyer it's too risky to buy from a private individual. Get to know the horse's current owners. Ask for references. Speak to others who've bought horses from the same sellers. Talk to those who run boarding farms. What do they know? Do a lot of preparatory research. 2. It's up to you to ask questions, detailed questions, of the person who has the horse for sale. Ask about the horse's health, training history, personality and behaviour and anything else that could be of interest. Reading up on horse-buying on the Internet or talking to a horse-trainer or other knowledgeable contact can help you come up with relevant questions. 3. Communicate your intended use of the horse. Make sure the current owner knows what you want from a horse, otherwise you'll end up with the horse they want to sell and not necessarily the one you want to buy. You need to explain your intended use of the horse so that you can discuss suitability with its previous owner. If your interest is in breeding, then check the horse's pedigree papers and competition history. If your interest is in dressage, then try the horse out. 4. You should also look into getting a pre-purchase exam done. Make sure there's a contract written and looked over by a lawyer. Normally this is the seller's job, but have your own if required. 5. Invest in your own training as well as your horse's training. Research, read. Find a trainer who works with horses and people. The are many horse classifies online. You can search online directories for horses for sale. 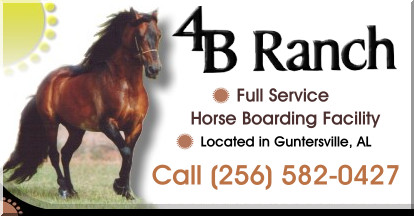 You can browse horses for sale by breed, for example, Arabian horse for sale or by area in which the seller is located, for example, horse for sale in Texas. Dean Erickson. Journalist, and web site builder Dean Erickson lives in Texas. He is the owner and co-editor of horses-for-sale-directory.info on which you will find a longer, more detailed version of this article.